Bueller, Bueller…..anyone??!!? It’s been about a month since I blogged last and a lot has happened since. First my former employer called and offered me a position at the company. I was completely shocked and I have been slowly adjusting to being a working mom again. Sully gave me the cold shoulder for a couple of days, and it’s been a little tricky to try and get my runs in. I enjoyed my time home with Sully, but this is the best decision for my family. Other than that I’ve just been saving money and keeping up with my running. 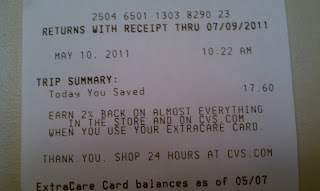 I’ve been hitting up CVS lately to use my coupons and have been getting some good deals. The other day I was reading the circular and I told Mr. O, “Toothpaste is always free!” I now get toothpaste free or pay under $1 for it now. 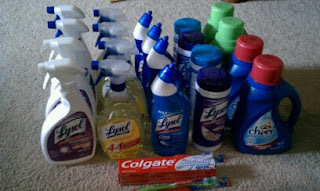 In addition to sharing my toothpaste bounty with my parents, we plan to make a big donation around the holidays. In running news, I ran the Baltimore 10 miler on Saturday. It was my first official race since having Sully. I just love the excitement and energy of races. I did well for my first race back and now that I run with a jogging stroller. I clocked in with a time of 1:34. Now my next decision is half-marathon or full-marathon?? ?I’m leaning towards full which means I will be running by myself, but I’ve done it before. So basically that is the past month in a nutshell. I promise it won’t be so long next time! 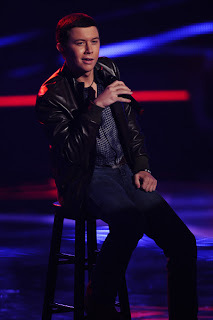 First, Scotty won American Idol!!!!! I was getting so worried that I may have to boycott the show, but that won't be a problem now. For dinner this week I got a little fire up my toosh and decided to make an appetizer, marinade chicken on the fly, and make an Asian noodle salad. 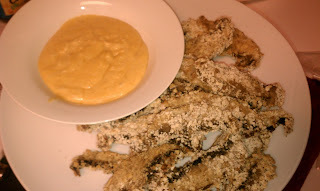 For the appetizer, I decided to make How Sweet It Is Crispy Portobello Mushroom Fries.﻿ These were so tasty!!! The smoky cheddar parm dip is just divine. Perfect appetizer for any party or gameday, but make extra because they will go fast. Mr. O and Sully loved snacking on these while I finished up getting dinner ready. 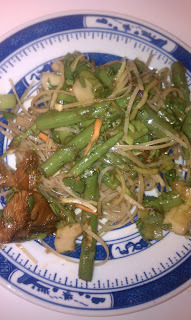 For dinner I made Iowa Girl Eats Asian Noodle Salad. I knew that I wanted to add chicken to this flavor explosion. So I'm standing in the kitchen, thinking about what kind of marinade I should make and then it just came to me. 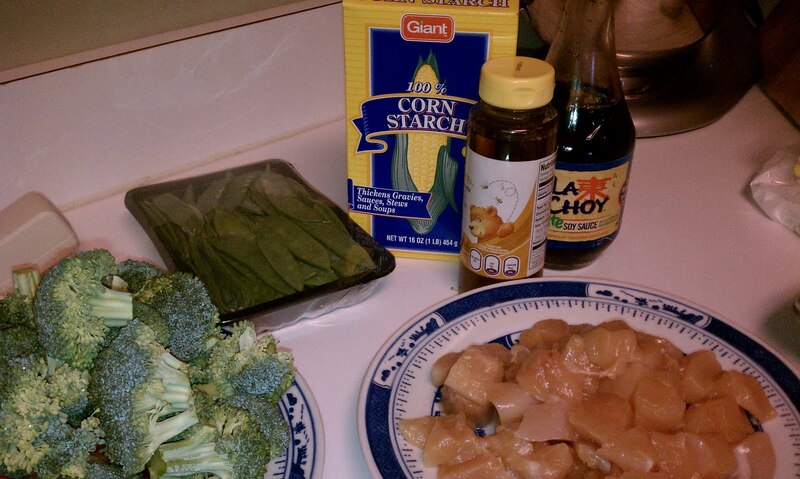 After marinating the chicken I sauteed it in canola oil. 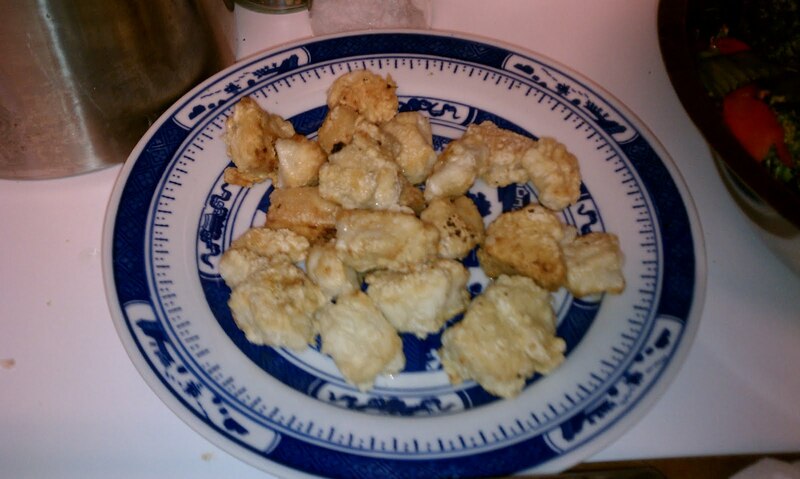 The chicken turned out so yummy!!!! 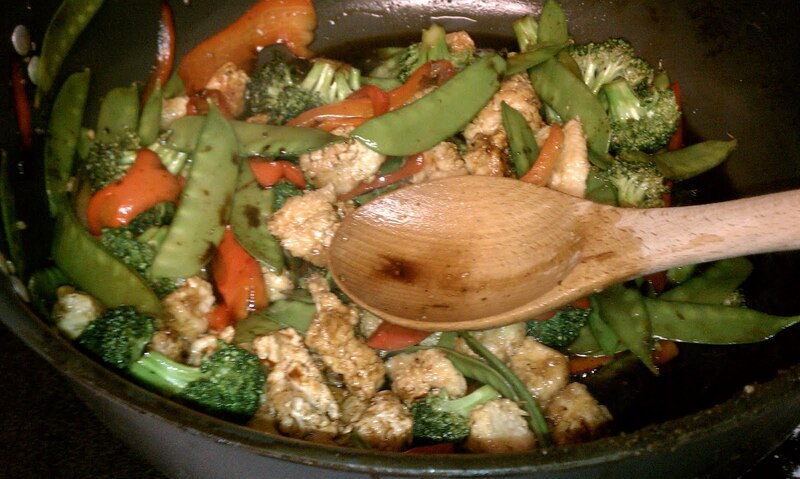 Mr. O even said it tasted like the free samples of chicken that the chinese restaurants give out in the food court.....I think that is a complement :). 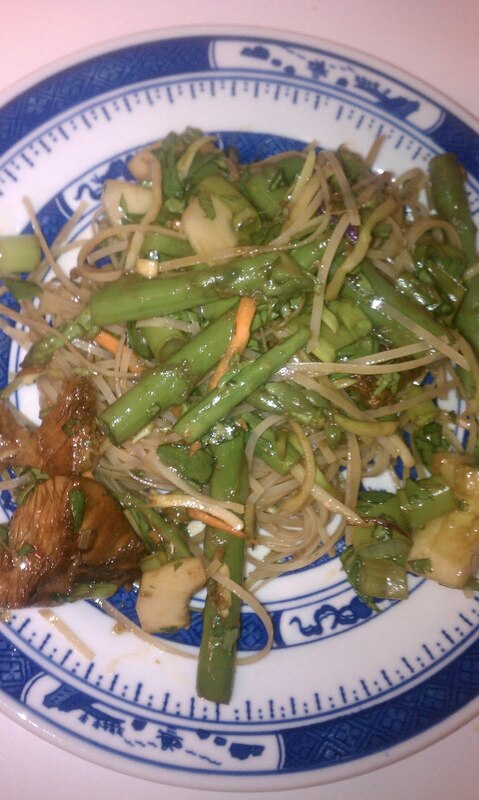 Some other modifications I made is that I used rice noodles and added asparagus. This meal was another homerun. I made plenty for leftovers and I'm glad that I did becuase Sully couln't get enough of it. He just loves the noodles. 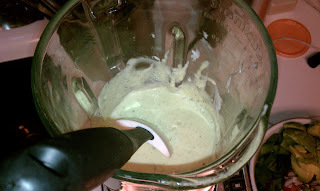 Summer is right around the corner and I'm glad that we have been making lighter recipes. I bought Sully an inflatable pool today and we have a community pool. He is a little waterbug. We enrolled him in swim lessons at 6 months old and I'm so happy that we did. He is very comfortable in water and he even puts his mouth in the water and blows bubbles!!! With the start of summer this weekend, and my birthday I am very excited. I’m in love with all things Housewives on Bravo! I have loved the series since Orange County premiered and cannot get enough. On Monday night I had a Skinnygirl Margarita poured and was ready for the Real Housewives of New Jersey premiere. At first I got excited because it full of drama. By the end of the episode I was completely disgusted with the adult’s behavior at the Christening. I do realize that since adults are at the party there should be adult beverages, but taking shots? That was completely classless. I’m sure that massive brawl was fueled by alcohol. The people seemed to be more focused on the party rather than their son's Christening. I just had to get that off my chest! On to my other love, American Idol. First I cannot believe that Lauren is in the final, there is something about her I just don’t like. I was rooting for Paul until he got kicked off, so now I’m hoping Scotty wins. Country music is something that I like, but I just love him! We will have to see who wins next week. What are some current TV shows that you can't live without? Tuesday is Mr. O's day off and my grocery store day. This week I planned and was going to go coupon crazy. My first stop was Giant Eagle where I planned to get Lysol cleaning products and Colgate toothpaste and toothbrushes. Lysol cleaning products were on sale for 4 for $8, with a $2 instant savings, making it 4 for $6, and on top of that I had coupons for $1 off for two....so I applied two coupons to the four making the grand total on the Lysol products 4 for $4! Are you still with me???? 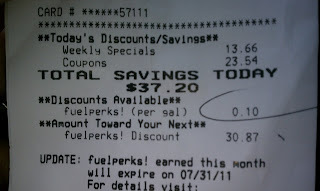 For someone who isn't good at math somehow I am good when it comes to saving money. Colgate toothpaste was on sale for 10 for $10. 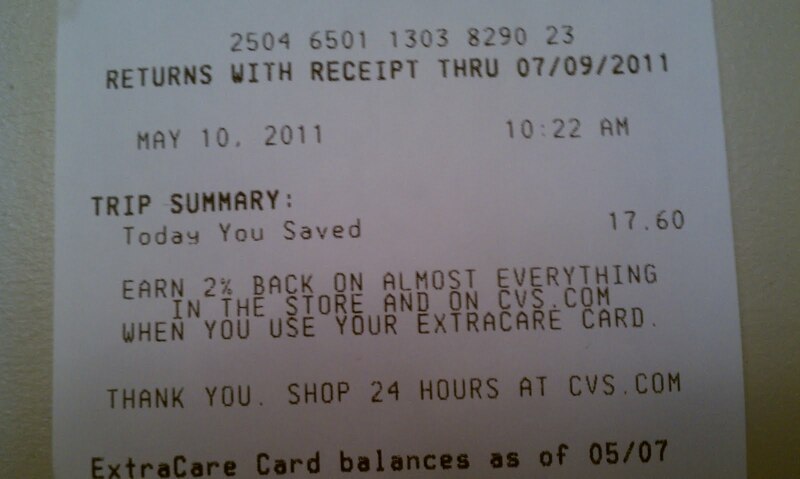 I had a $.75 off coupon that would double, making the toothpaste free. Also, Colgate toothbrushes were also on sale for 10 for $10 and I had a coupon for $1.00 off two toothbrushes, so one toothbrush was free! Before my club card and coupons the total was well over $70, and I started to get nervous. Then I was put to ease after everything went through. 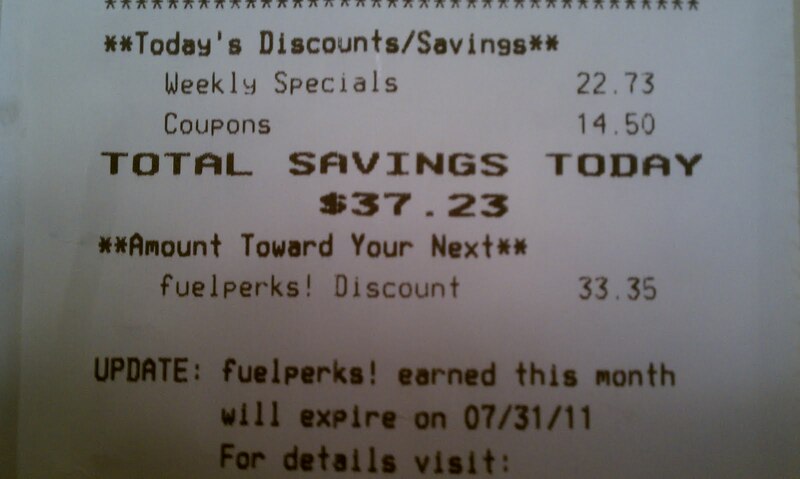 Here are my savings from Giant Eagle. 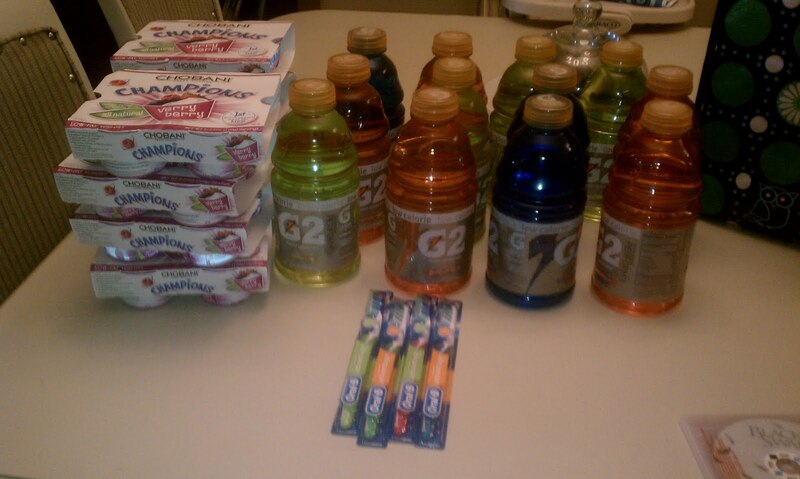 And here is a picture of my haul. 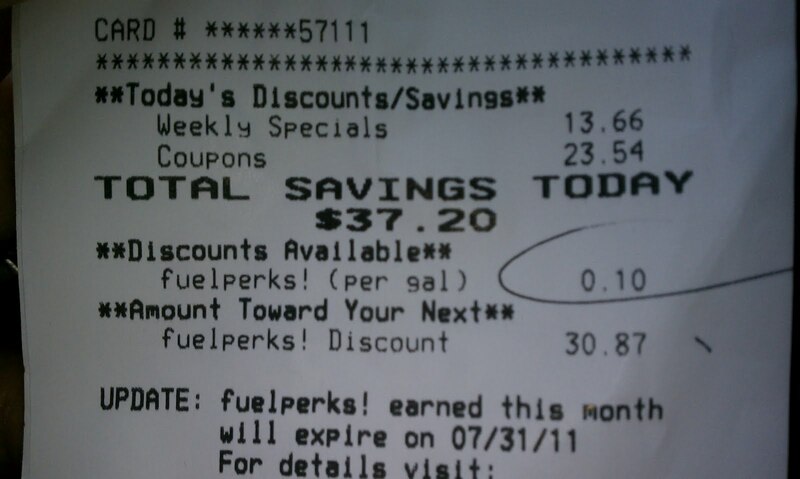 It definately pays to shop around. I know it's not anywhere near the people on Extreme Couponing, but I'm saving my family money and that is the most important part. 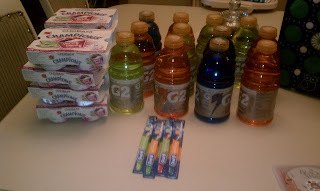 And here is what I bought, yes it does look funny buying 8 packs of yogurt, but items go on sale in cycles and you gotta stock up! In addition to saving money on Tuesday, Mr. O and I just ran errands, and I did yard work. Both of my parents have green thumbs and well I have a black thumb. One time I managed to kill lucky bamboo…I think that is near impossible, but I did it. We have a patio with three flower beds. For the past couple of years we’ve been trying to plant easy low care plants. Due to all of the rain we have been getting the weeds were out of control! After a couple of hours the patio it looking much better and I see signs of dahlias coming through. For dinner we were feeling salads since we had gone to Chick-fil-a for a late lunch. Again I turned to Gina’s Skinny Taste for inspiration and we I made her Basil Green goddess dressing. 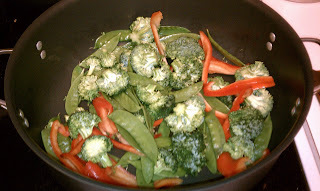 It was so light and refreshing; it is the perfect dressing for summer. I tossed the dressing with spinach, tomato, avocado, onions, and grilled chicken…… and viola! 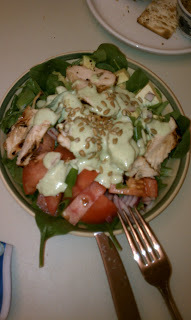 It was the perfect salad for little tease of summer that we have been having. 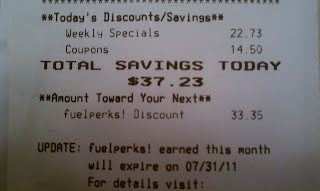 I have some big savings planned….stayed tuned to find out what I get! After Mr.O’s birthday, Imagination Movers, Coheed and Cambria, our anniversary, and Easter , Mr. O and I made dinner after a two week hiatus. For dinner this week I chose How Sweet Eats Crunchy Honey Chicken. 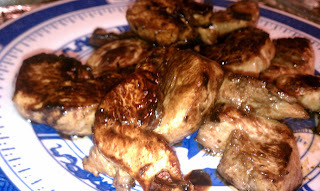 The recipe was another home run! I had all of the ingredients in my pantry and just had to run to the grocery store to get fresh veggies, eggs, and the Royal Wedding People Magazine. I followed this recipe to a T, however, I doubled it so I could have leftovers. 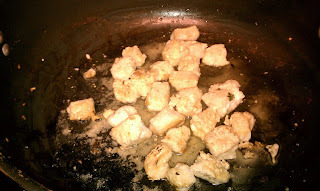 I did serve it with brown rice, but I think next time I will try rice noodles. Mr. O and I need to work on cooking rice. I'm a mom learning how to keep life balanced. In between diaper changes and folding laundry my passions are running and photography. Sit back, open a diet coke and enjoy the ride!